Contact Form Title Contact us about estate agent in Portugal? Most importantly, a Portuguese estate agent must be registered with the government and issued with a license to practise. The Instituto da Construcao e do Imobiliario is the official body that holds a record of every legally registered agent and their AMI (Associacao de Mediadores Imobiliarios) license number. You can check for an agent’s AMI number here but if they don’t have one, don’t use them. Ideally, your agent should also be a member of the European Federation of Estate Agents. Winkworth Portugal only partners with licensed estate agents in the Algarve and Lisbon that can demonstrate an established track record. 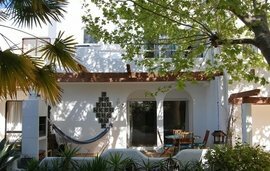 If you’re an overseas buyer searching for your dream villa in the Algarve, expect your chosen estate agent to have a wealth of experience in matching international clients with the perfect Algarve property. 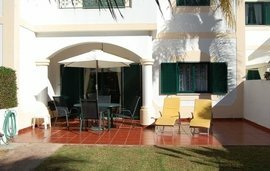 This means having an extensive understanding of specific resorts and property types, whether a contemporary villa for sale in Carvoeiro, or a low-maintenance apartment in Lagos. 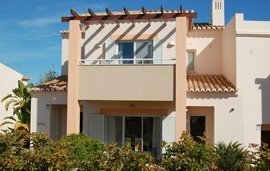 They should also demonstrate an assured local knowledge about the best place to invest in one of the Algarve's golf-resort villas, for example, or the pros and cons of buying a holiday property in the Western Algarve. A positive online presence and a professional website are a strong indicator of suitability, together with word-of-mouth recommendations from those that have gone before you. Using an international real estate agent like Winkworth International gives you access to property professionals with a true understanding of working with buyers from all over the world. Our global reach also ensures optimum exposure to a worldwide network of potential buyers for anyone sellg property in Portugal. Your chosen estate agent should appreciate that you’re new to the property market in Portugal, so unfamiliar with the sales process. While it’s not complex, there will be procedures and documentation they should explain. Do demand transparency around commission too; agent fees tend to be reflected in the asking price of a property but there needs to be an upfront explanation of this. Also be alert to the fact that once you’ve made an offer, you’ll be asked to pay a small deposit in order for the seller to take their property off the market. Remember, a translator is essential if you speak limited Portuguese but your estate agent doesn’t speak anything else. Will I need to appoint a lawyer when buying property in Portugal? Yes, once your offer on that Algarve villa or Lisbon townhouse has been accepted, you must appoint an English speaking lawyer (advogado) to complete the sales process for you. This includes ensuring that the seller has paid up-to-date municipal and property tax and can produce property tax documentation, a property registration certificate and title deed. If you don’t speak Portuguese, you’ll need translations of all documents. Remember to be wary of the estate agent that only recommends one favoured lawyer to act for you. While Winkworth International are always happy to give details of a number of reputable lawyers we’ve worked with over the years, remaining impartial and trustworthy is an integral part of our brand. Winkworth International have the answers to your Portugal property for sale questions, so get in touch with our Winkworth Portugal office and ask away. Contact us about estate agent in Portugal?